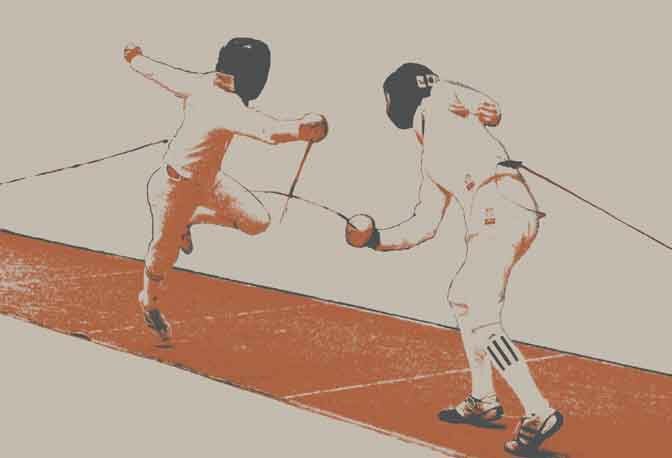 Fencing Camps and Comps is a loose association of individuals who share a passion for the sport of fencing. They all share a belief that the top priority when running an event should be the fencer experience. Events should be run for the fencer not for the convenience of the organiser. Due to British Fencing's decision to move the Cadet & Junior Championships to the start of the 2016-17 season it is no longer possible to run the Bill Hoskyns Open and the Young Hoskyns (under 13 Epee) on its traditional weekend. We considered moving it a week later but this got us into summer holidays and a clash with the Winton Cup, we considered moving it a weekend earlier but this got us into exam season and a clash with the England Youth Championships. Therefore this year's event will be held on the weekend of 23rd 24th April. This will be a busy time as it is the weekend after the British Championships and a weekend before the British Youth Championship National Finals however it is not a direct clash with anything major. We would appreciate your help in letting others know of the change of date. The venue will be the same as recent years, Kidderminster. I hope you can join us and look forward to receiving your entry.